Really nice looking stuff. The corpse cart and dire wolves looks amazing, keep it up! That is one huge and nice looking skavy army right there. Great job on the reds! Topic: Qwasiman' #theweeklypaint 2015 3 gretchins done! Re: Qwasiman' #theweeklypaint 2015 3 gretchins done! 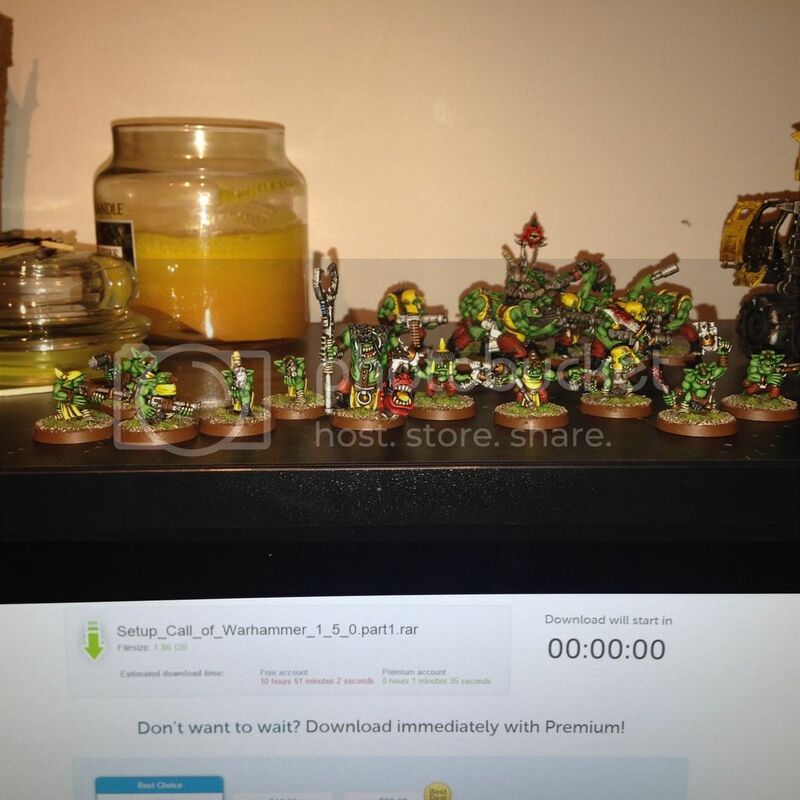 Re: Qwasiman' #theweeklypaint 2015 Gretchin unit + runtherd! Nothing special, but i think they turned out alright! May i ask how you did they rust and the skin on the banner? Fantastic painting on the bloodletters. Like the some of the others, i´m really digging the swords! Re: Qwasiman' #theweeklypaint 2015 Orc trukk is done! Looks like you got a nice start! That unit will look awesome once it´s done! Thats a good looking army you have right there, excellent free handing!